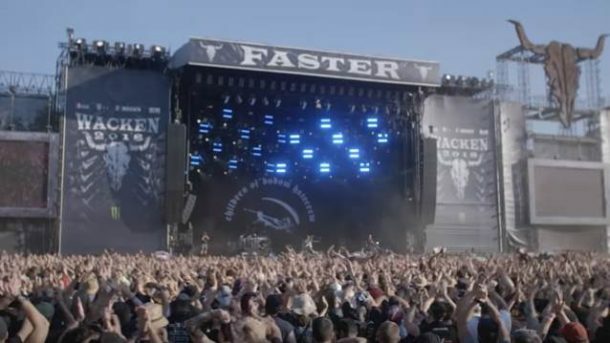 According to the Associated Press, the story that was originally reported by the Deutsche Welle about two elderly German men who supposedly escaped from their nursing home on Friday (August 3) to attend the Wacken Open Air festival has turned out to be less than entirely true. Itzehoe police spokesman Peter Berndt clarified on Tuesday (August 7) that the two men, who were actually 58 and 59, left a home for people with mental health issues to party in the town of Wacken, near the world’s biggest heavy metal festival. The men were found “disoriented and dazed” by festival goers at a main street stop waiting for a bus home at 3 a.m. after the buses had stopped running. After first being brought to a first-aid station, the two men were put in a taxi and transported back to the care home about 20 miles away. The story making social media rounds of two elderly men escaping their retirement home to attend Germany’s largest heavy metal festival seemed too good to be true. And, alas, it was. Festival-goers called police after finding the two “helpless, disoriented and intoxicated” waiting for a bus home at a main street stop after the buses had stopped running at 3 a.m. Saturday. This year’s Wacken Open Air was sold out, with more than 75,000 metal fans in attendance. Headliners included JUDAS PRIEST, DANZIG, HATEBREED, IN FLAMES, RUNNING WILD and ARCH ENEMY.